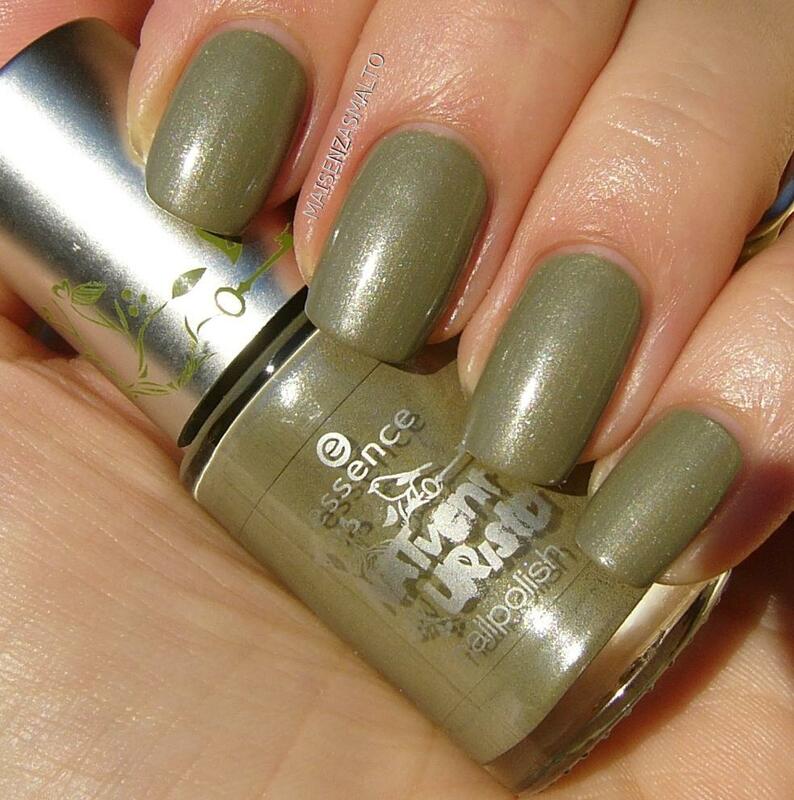 All polishes in this Trend Edition have soft and shimmery colors, this one is a sort of asparagus green with tons of silver fine shimmers that gave it a strange effect, similar to frost, but without the annoying visible brush strokes. Brush is wide and with two coats you're done. Only weird thing on this polish is smell, I found it quite bad and this was strange, because the others from this collection didn't have that stink. L'unica cosa strana che ho notato in questo smalto è l'odore, veramente fastidioso. Mah! Gli altri della stessa collezione non puzzavano in quel modo.